Go mobile and stay connected to your SalesNOW account wherever you are with your iPhone, iPad or both. SalesNOW is the leading CRM app for iOS devices. The SalesNOW iOS apps are designed to emulate the iPhone and iPad user experience, allowing the user to perform all of their business on their phone and/or tablet, and leverage the mobile capabilities of these devices. 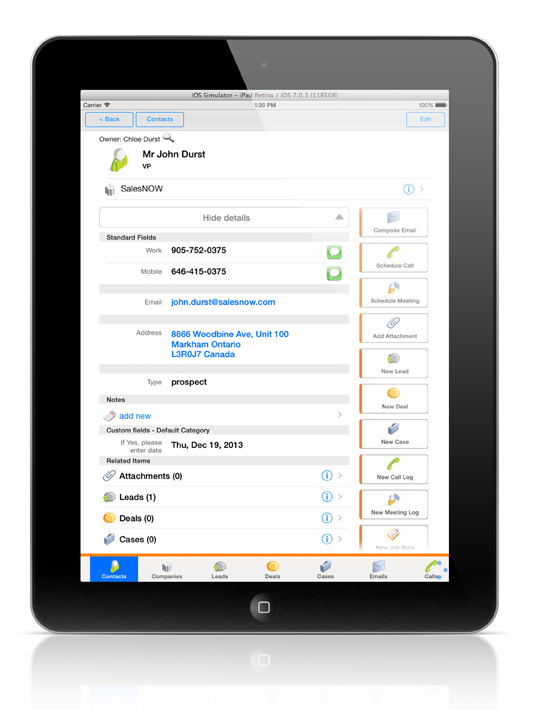 Not only can the user access all of their contacts, customers, leads, deals and cases from their iPhone and their iPad, but they can log and schedule calls, meetings and tasks. These apps also integrate into the native capabilities of the device. To fully leverage the iOS experience, SalesNOW iPhone and iPad apps are built as native applications. 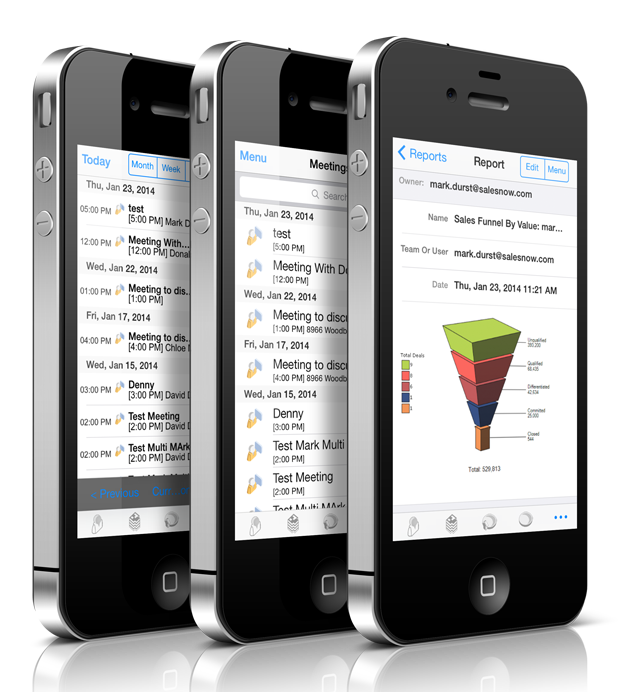 Our native iPhone and iPad apps are not only designed and optimized for the iOS operating system, but they perform faster than many desktop apps while providing integration to the iPhone and iPad native applications including contacts, calendar, email, phone, mapping and cameras. 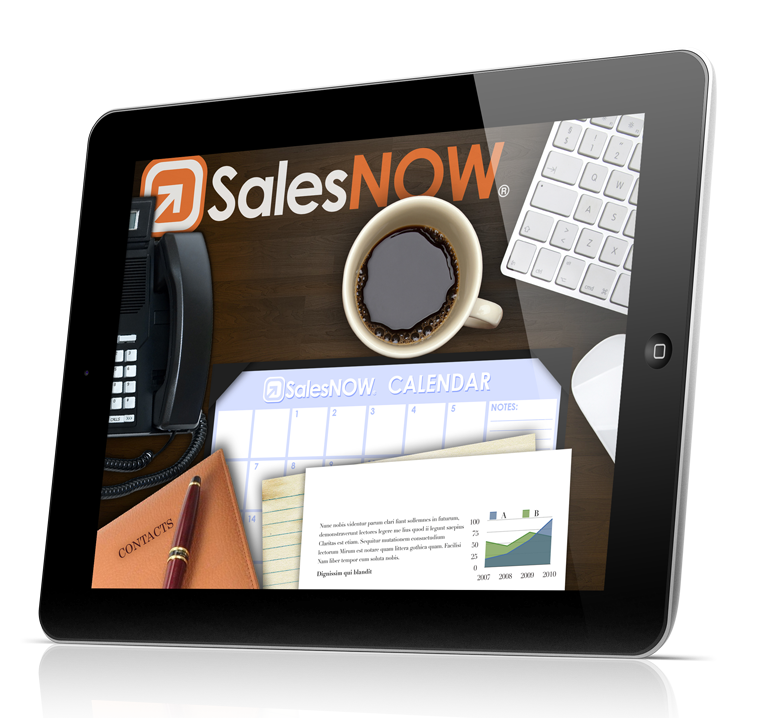 The SalesNOW iPhone application provides all of the functionality that is available on our desktop version but is designed to leverage the iPhone experience. 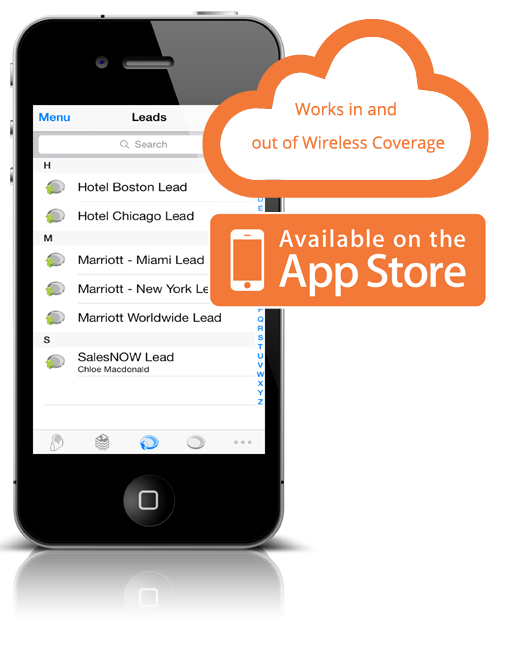 This native app also allows the SalesNOW user to phone or email directly from the SalesNOW app. All contacts and meetings created in the SalesNOW app can automatically update the iPhone contact list and the iPhone calendar. Pictures taken from the iPhone can be uploaded to SalesNOW and associated to a contact, company, lead, deal or case. The iPhone app supports geocoding your Contacts, Companies and Accounts, and allows the user to not only map these, but also allows them to search which Contacts, Companies and Accounts are nearby their current location. The SalesNOW iPad app not only has all the functionality of the iPhone app, but is designed to leverage the larger iPad form factor to create a truly superior mobile experience. Like the iPhone app, the iPad app is a native app which integrates to all of the native iPad applications including the contacts, calendar, map and camera. Not only can pictures be uploaded to SalesNOW from the iPad, but documents from the SalesNOW server can be displayed on the iPad and presented or emailed to your customer. The iPad mapping features include showing all of your contacts, companies, accounts, leads, deals, cases and meetings on a map. The user can simply create a route to multiple selections or search a specific city or address for selections nearby. The SalesNOW iOS apps are not only designed for mobile, but they leverage the mobile capabilities of the iPhone and the iPad. This enhanced mobile experience is the reason the SalesNOW iOS apps are considered the leading iOS CRM apps in the industry Check out our iOS apps, and see why our SalesNOW customers Love their mobile experience.